It's that time of year again when cute fuzzy little foals start appearing everywhere! You want them to grow up to be strong and healthy. We can help them reach their potential. Take a look at our unique and proven solutions specifially for foals, including FOAL-AIDE®, Foal Starter and Mare's Milk Plus®, the gold standard for milk replacers. 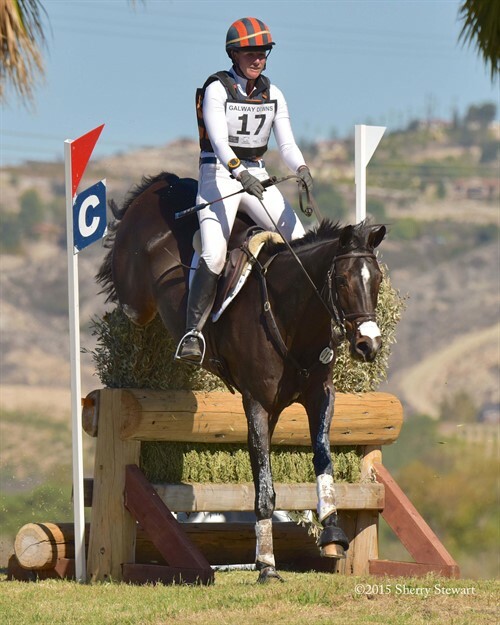 BUCKEYE® Nutrition is proud to announce its professional partnership with Belinda Trussell Dressage. 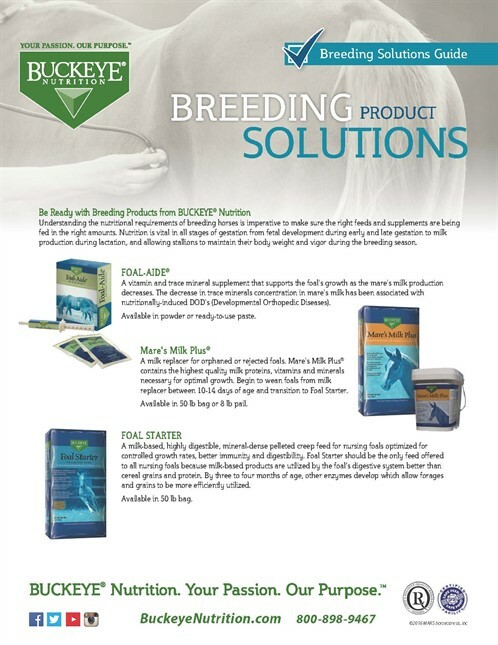 Through this partnership, Belinda Trussell will work with BUCKEYE® Nutrition to promote best feeding practices through competition, at clinics, and over social media channels. “My horses are not only elite athletes, but also members of the family - and it's so important for me to do everything I can to keep them strong, healthy and happy. 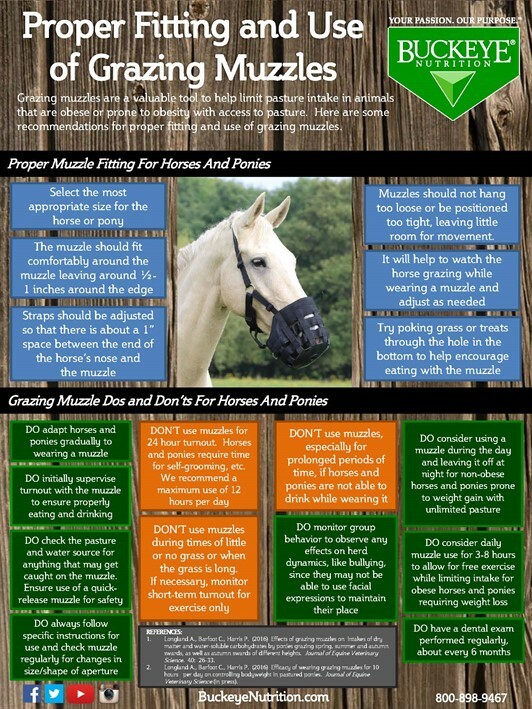 That's why Buckeye Nutrition makes so much sense for me and my horses. BUCKEYE® Nutrition has exceptionally high standards of quality, and the consistency and high nutritional value of their ingredients give me confidence that I am feeding my horses an outstanding diet with all the nutrients they need and the superlative quality they deserve. BUCKEYE® Nutrition truly understand that every horse is a superstar, deserving of the very best!" Belinda Trussell is a Canadian Olympic dressage rider known for being the youngest member of the Canadian dressage team at the 2002 World Equestrian Games in Jerez de la Frontera, Spain. 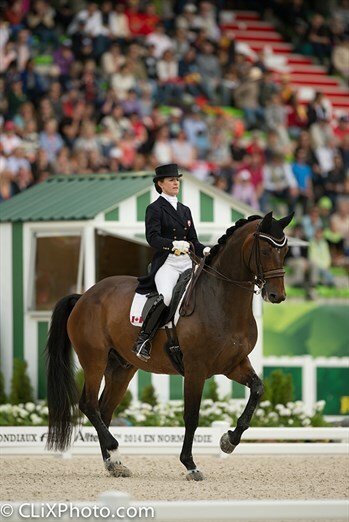 Representing Canada, she also competed at the 2004 Summer Olympic Games in Athens, Greece, three World Equestrian Games in 2002, 2010 and 2014, and the 2004 Dressage World Cup Final in Düsseldorf, Germany. In 2015, Belinda and Anton, a 2000 Oldenburg gelding, competed as a member of the Canadian silver medal winning team at the Pan American Games. She placed 4th in the individual Freestyle competition, scoring 76.800, a personal best. She also secured an individual qualification for the 2016 Rio Olympics. Headquartered in Dalton, Ohio, BUCKEYE® Nutrition has been manufacturing quality products since 1910. 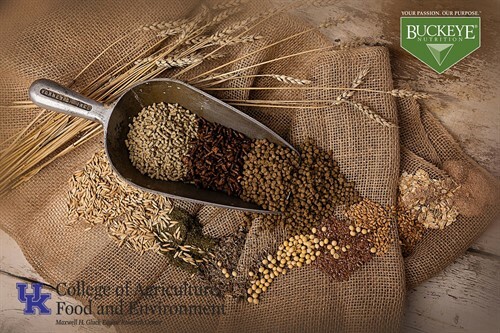 BUCKEYE® Nutrition takes feed safety seriously, implementing many programs mandated in human food manufacturing facilities. 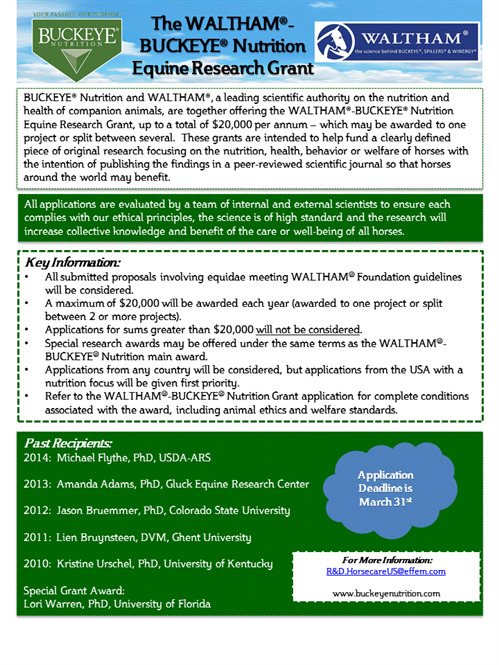 With the backing of the WALTHAM®, a world-leading authority on pet care and widely renowned as an institution of the highest scientific caliber, our equine nutritionists provide scientifically-based equine nutritional solutions which guide our formulations and our BUCKEYE® Nutrition brand promise of being the highest quality, safest feed available. BUCKEYE® Nutrition. Your Passion. Our Purpose™. 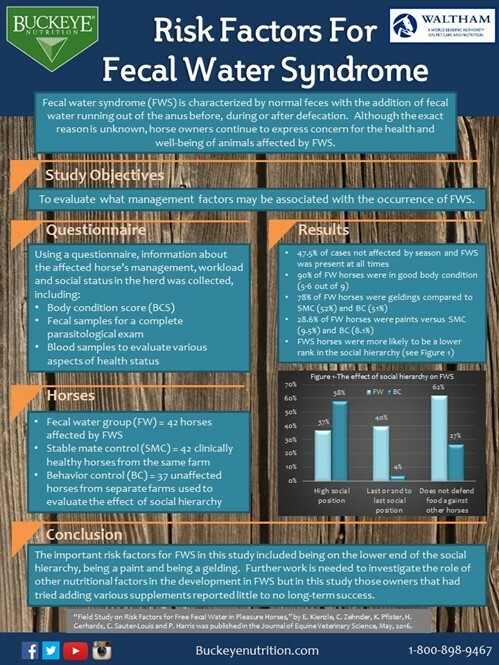 Pasture-associated laminitis has been linked to the over-consumption of water soluble carbohydrates (WSC) such as fructans, glucose, fructose and sucrose in horses and ponies. 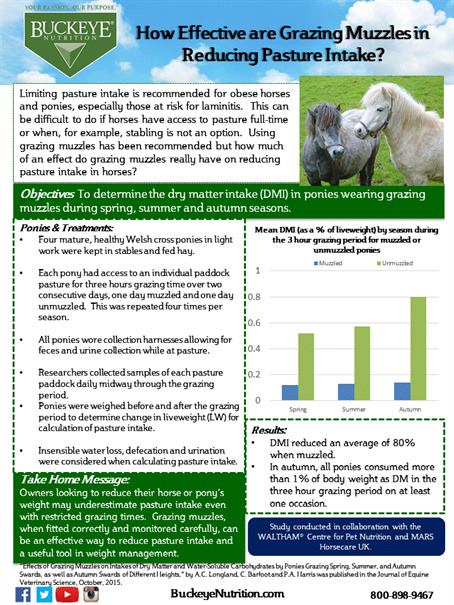 For those animals prone to laminitis, soaking hay prior to feeding helps to reduce the WSC content. 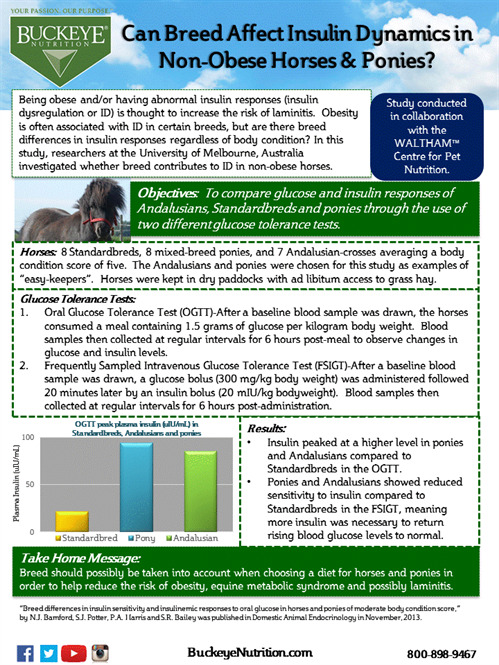 An upper limit of 100 grams of WSC per kilogram of forage dry matter has been advised, but are common practices used today adequate to reduce WSC in hay?